An inspiring line of fibers that bring vibrant color, texture and new dimension to projects. They come wrapped on innovative clear, recyclable shuttles that keep fibers accessible, neat and organized. Memory Thread is soft fiber wrapped copper wire. 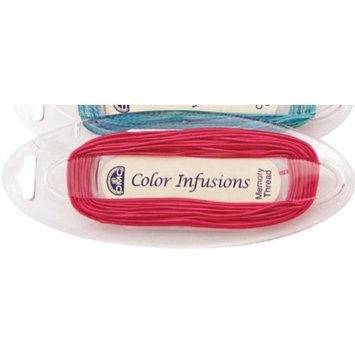 Use to embellish needlepoint, embroidery, cross stitch and quilting.